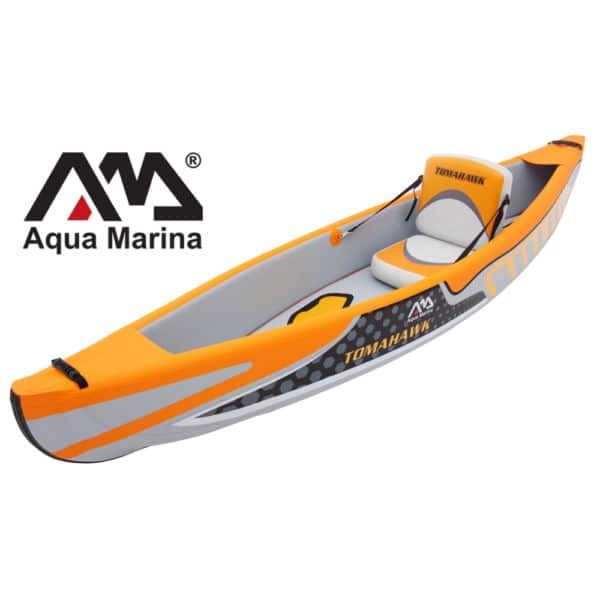 The TOMAHAWK is taking recreational inflatable kayak to a new level in rigidity, speed and shape. 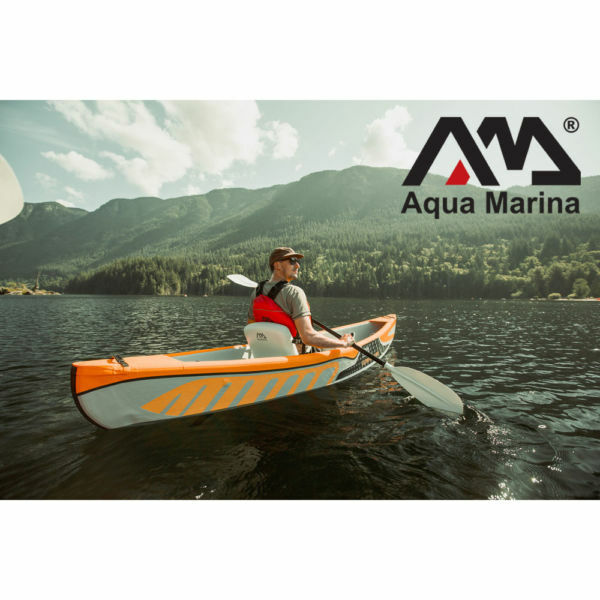 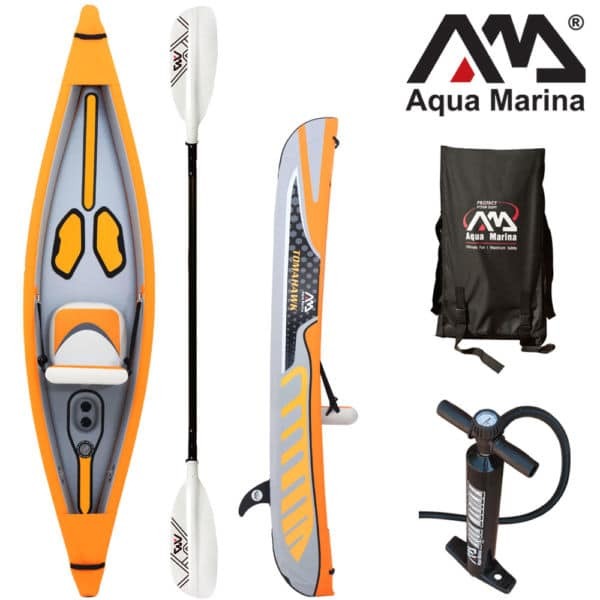 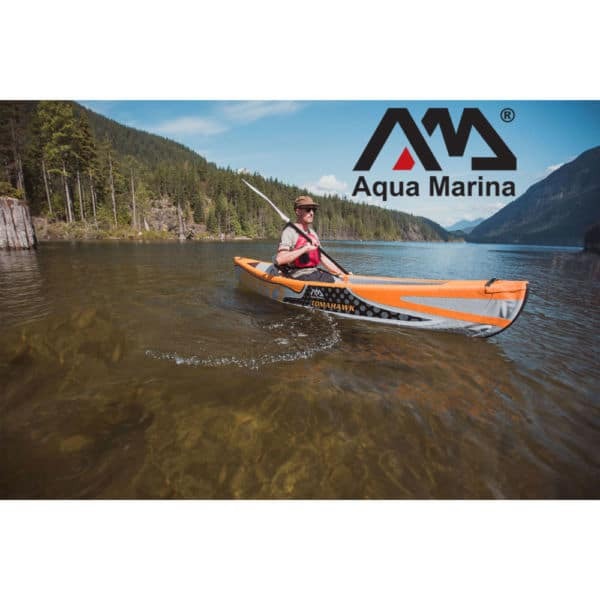 This kayak is designed for some of the most challenging paddling environment in the world and intended for the offshore and big lake kayak angler. Blending efficiency, stability, capacity and finesse, it’s ideal for cruising with a light load but also has the volume needed for medium-length trips. 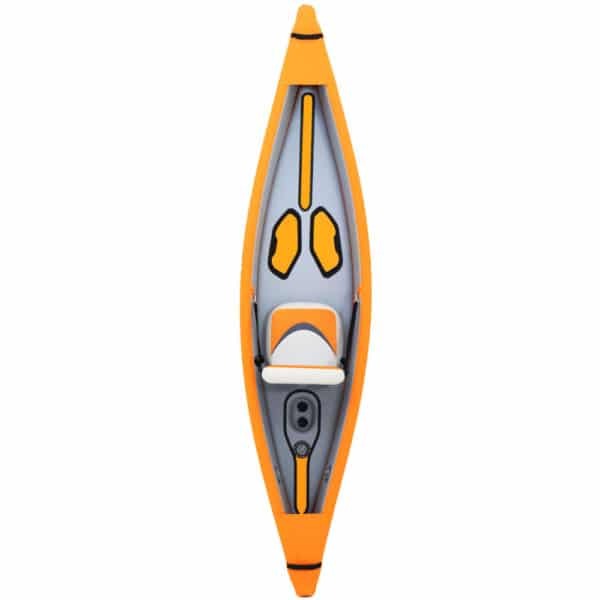 The TOMAHAWK is all about glide and speed. 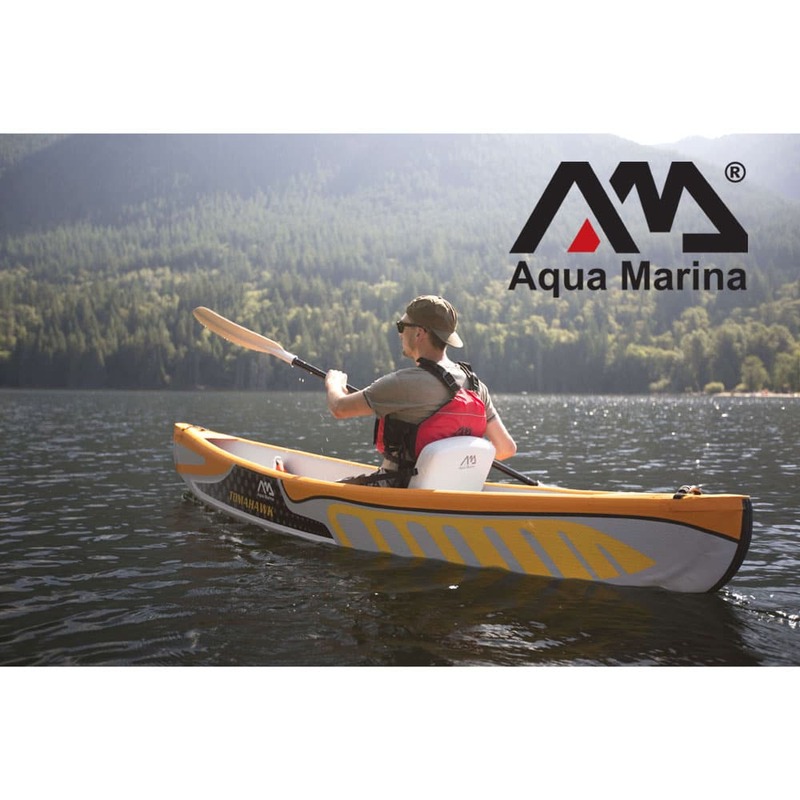 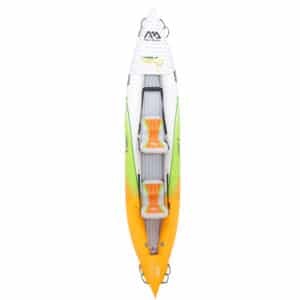 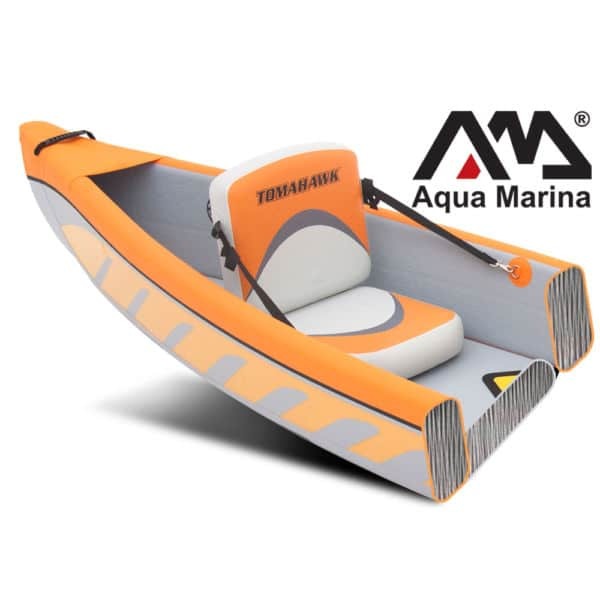 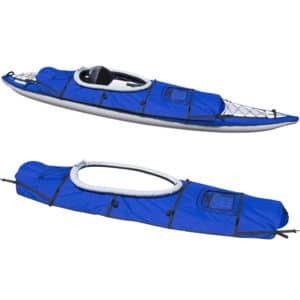 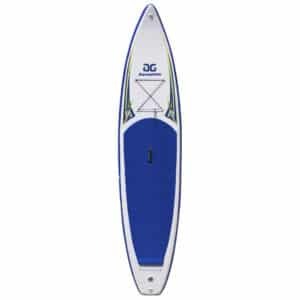 It’s a lean boat that tracks well, yet will turn quickly enough, and returns to a stable position more readily than other fast kayaks. •Stable and Powerful: Tomahawk is ideal for family outings. 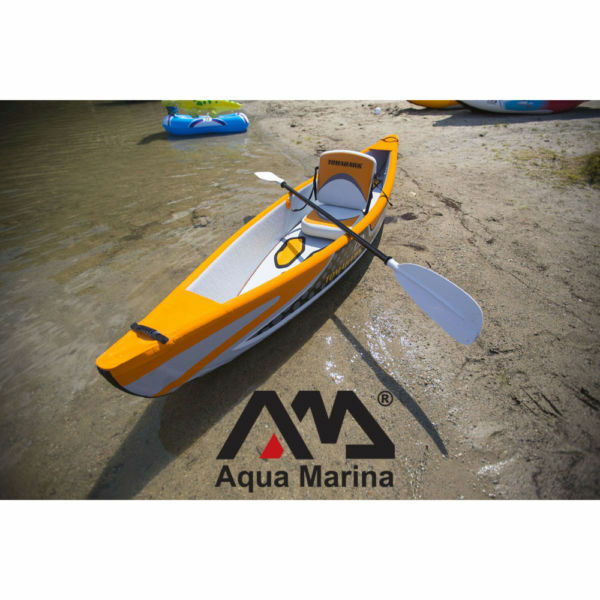 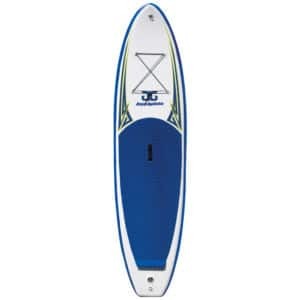 Features a high pressure Drop-Stitch PVC hull structure and high pressure keel. •Comfortable: High support drop-stitch air seats, adjustable design offers comfort for hours of paddling. 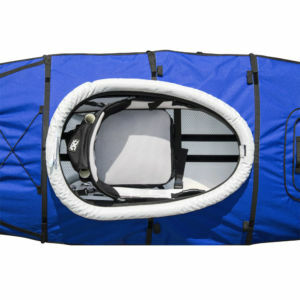 •High Pressure Boat structure: Super tough and high–pressure drop stitch PVC fabric. Inflatable bow and tail keel integrated for fast dividing water ability. Super fast and stable on the water.